Let&apos;s continue your work on the fundraising walk project. 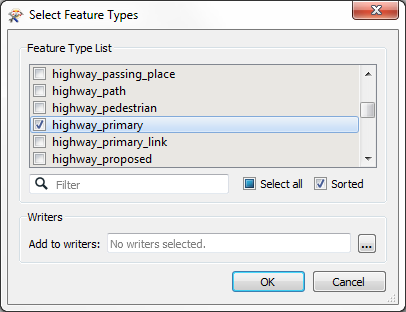 In this part of the project we’ll add some OpenStreetMap format data to the workspace. If we go with the Broad feature types, we will be presented with a broad set of layers and car parks will be hidden inside Amenities. 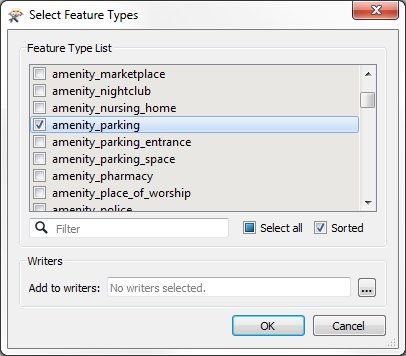 If we go with Specific feature types we can select only car parks by themselves. 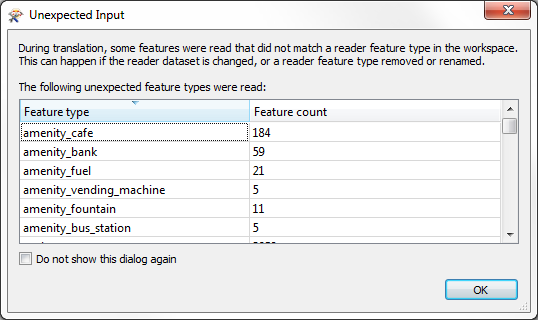 During translation, some features were read that did not match a reader feature type in the workspace. 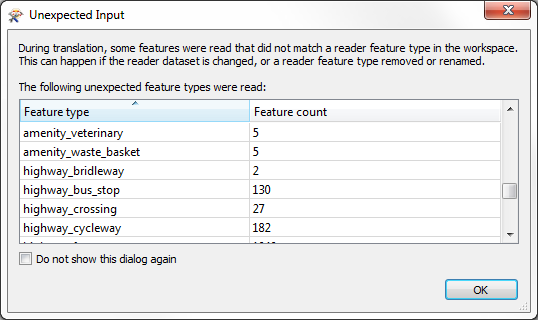 This can happen if the reader dataset is changed, or a reader feature type removed or renamed. OK. Well let&apos;s add some more data and see if the same thing happens. If you&apos;ve taken your smart pills today, you&apos;ll be thinking that we could use the same OSM Reader to read both datasets. That&apos;s true. Well done you. But we&apos;ll stick to separate Readers just to make this exercise simpler.